These gorgeous weights add some style without being bulky. 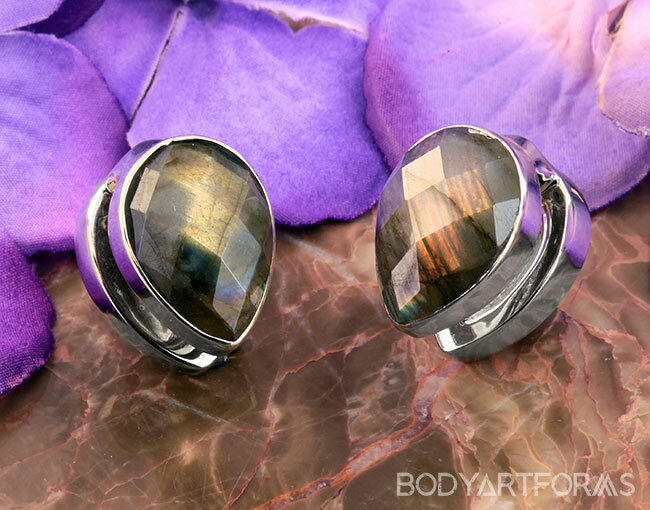 Made by Diablo Organics, they feature quality grade labradorite for 1/2" lobes and larger. The wearable area measures 4g, but we recommend these weights for 1/2" or larger lobes. You will receive the exact pair photographed.